So, you have been looking at massage chairs, trying to decide which type to get. According to the guy at the store, the best on has L-track rollers, and you can ignore the one with the old-fashioned S-track rollers. Here’s the thing, though. You don’t even know what track rollers are and you are envisioning a train track being rolled up in front of you. Before you start hitting the buyer’s guides, you want a little more clarity, and so you have ended up here. Okay, to understand the difference, you need to know what the basics of the roller system. What is the Roller Track? What Other Features Might Bear a Second Look? All massage chairs work on a similar principle. They have a track running all the way along the inside of the chair. Think of this like the chair’s spine. Now, you have massage rollers that work their way along this track. For basic models, the types of rollers and so the type of massage is always the same. The basic massage rollers can only move up and down on the track. 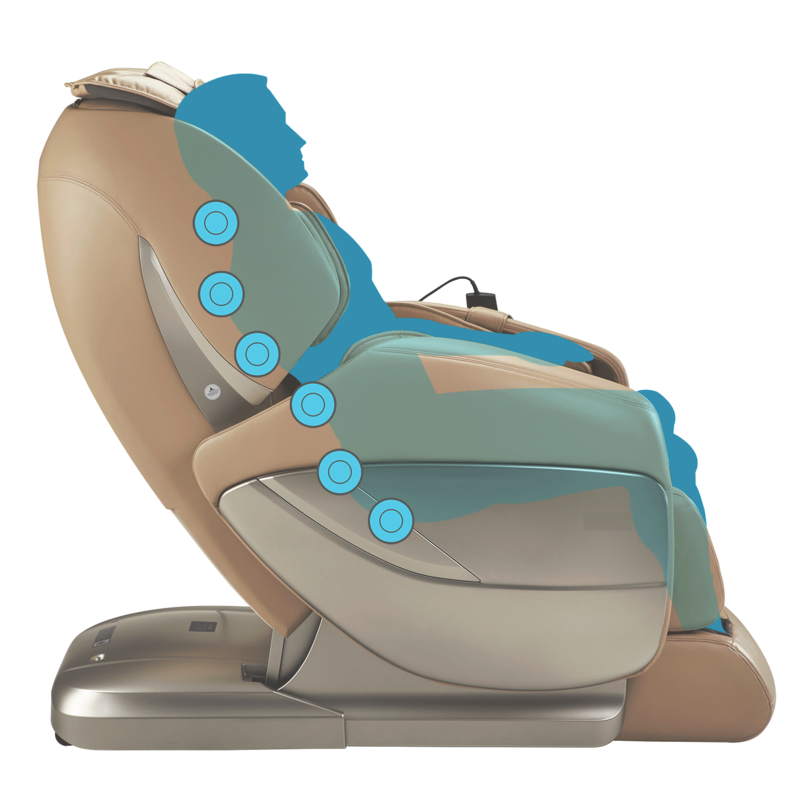 Depending on the programming of the electric massage chair, this could mean that the rollers can knead or tap. With a 3D massage chair, things get a little more interesting. These make it possible to get a 3D massage through the use of special 3D rollers. The extended roller can make short work of a stubborn knot and does not feel like the chair’s typical massage stroke. 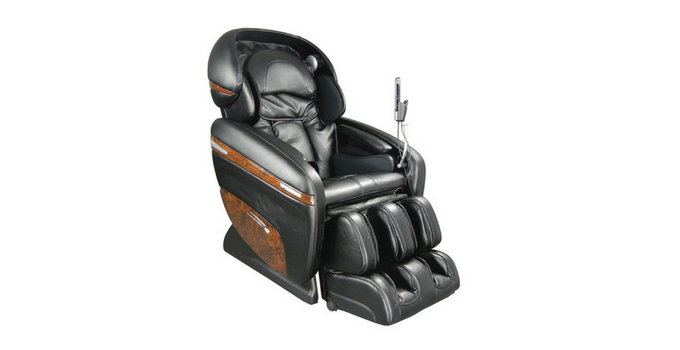 Newer developments in the industry have led to the debut of zero gravity massage chairs. These work at recreating a zero gravity feeling so you can enjoy your zero gravity massage. The Ogawa Active, Luraco iRobotics i7 and the Osaki OS3d Pro fall under this category. You can also make some basic massage chair comparisons to see what other chairs you can look for. Anyway, let’s get to the s-track and l-track debate. Those old-fashioned straight-backed chairs are more the exception than the rule now. With this type of chair, the spine that the rollers are attached so that they follow the basic shape of the spine. It curves in at the lumbar area and more towards the neck. This helps improve the comfort of the person using it and makes a lot of sense. Think back to your standard cheap office chair. That would not do much good for massage therapy because you would have to smash your spine back into it just to make contact. What is the l-track? These are effectively the same as the type we have already dealt with, except that the track is a fair deal longer. It basically just continues the bottom of the track so that your back is massaged from the top right down to where the hamstrings start. This makes it possible to get a much deeper massage. What is the big deal about this? Rub your hand along the bottom of your spine, to your coccyx after you have been sitting all day. Feel a bit of tension there? 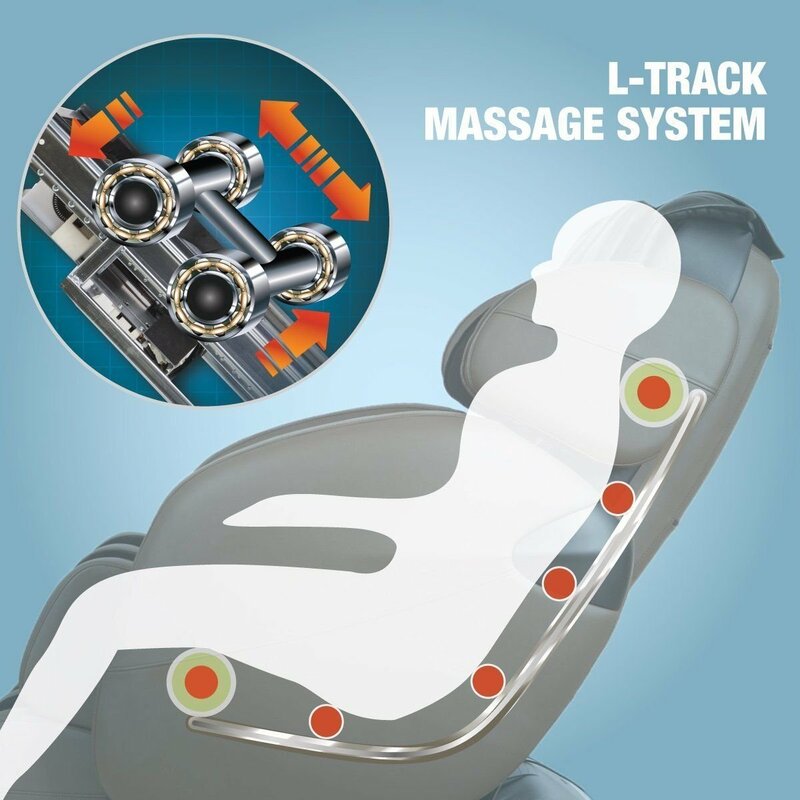 With the longer massage tracks, your rollers massage a lot more of the areas that need help. And that is one of the main differences between l-track and other models. The Appro Ultra is just one example of this tech being put to good use. So, do I-track chairs make a lot of difference? That depends on where you carry most of the tension in your body. 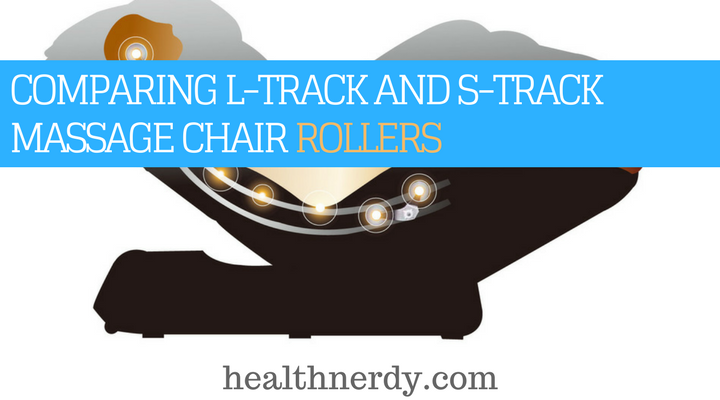 If you are prone to sitting for long periods of time, it makes sense to get l-track rollers to massage the glutes. In the battle of l-track vs. S-track, we have a clear winner. If you want to raise the intensity of the massage, you need to consider paying a bit extra for the more extended track. Of course, now that you are in the market for the perfect chair, it is not going to hurt to see what other features might be useful. Take chairs that can perform body scanning, for example. The computer body scanning senses the actual curvature of your spine and the track can adjust itself to match, giving you a much closer massage. It might also be worthwhile to try some heat therapy if the chair offers heated massage. This in itself can ease muscle tension and stress. Another thing to consider is your foot soles. They don't get a lot of attention, do they? See if you can find a chair that has foot rollers as well so that you can relax completely. The list of possible extra features goes on from stretch programs, through to making you feel like an astronaut. What is the best piece of advice when it comes to this kind of purchase though? I read this in one of the popular posts about the subject and had to admit that it was really excellent advice. Paying for an extended warranty is not always a good idea. Sometimes it is just a plain waste of money. But considering how much you are going to spend on this item, it is worth it in this case. While the chairs are well-built generally, the more space-age the design, the greater the chance of something going wrong. And repairs, when the warranty has run out, can be a pricey thing. Set your mind at rest by extending the warranty. At least you know you will be covered. All in all, isn't it funny how both tracks are essentially the same thing? But my guy at the department store was right; a longer track allows you to do more. It's like is the subway stopped in New Jersey and didn't go all the way into town. It would still be useful, but it could be a lot more so. Make the right decision about your new piece of furniture, and you can say goodbye to a backache.